This incredible home epitomizes luxury and timeless family living on Skaneateles Lake. From the opulent finishes, with stunning granite counters, automated window treatments, and intricate custom millwork. To the thoughtful layout which can span the gap of hosting family and timeless first floor living, this home is a rare opportunity. Down by the water, you are transformed by the seclusion of the lakeside pergolas and patio. The jaw-dropping views of the sunsets are truly second to none. The stone beach area gives ample space for everyone to enjoy. The open concept living space is perfectly suited to entertain and has every amenity one could ask for. We urge you to come experience the lake lifestyle, and picture your family enjoying the very best of Skaneateles Lake. 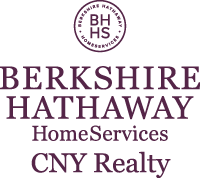 I am interested in E 2989 Lake Road, Skaneateles, NY 13152. Sign up for Inside AccessTM to view recent sales near E 2989 Lake Road. The broker providing the data believes the data to be correct, but advises interested parties to confirm the data before relying on it in a purchase decision. Copyright 2019 Central NY MLS. All rights reserved. This content last refreshed on 4/22/2019 10:53 AM. Some properties which appear for sale on this web site may subsequently have sold or may no longer be available.